August 22, 2017: Washington| US Secretary of State Rex Tillerson hints at what could be on the line if Pakistan does not comply with the United States’ demands for ‘do more’. “We have some leverage that’s been discussed in terms of the amount of aid and military assistance we give them, their status as a non-NATO alliance partner. All of that can be put on the table,” he told reporters in Washington DC. August 23, 2017: Washington| US National Security Council Spokesperson Michael Anton tells a press conference that the president had “put Pakistan on notice” in response to a question on terrorist safe havens. He suggested that possible actions included sanctions on officials within the Pakistani government “tied to these kinds of groups, you know, in ways that they shouldn’t be”. August 23, 2017: Islamabad| Prime Minister Shahid Khaqan Abbasi holds a high-level meeting of the country’s National Security Committee, which rejects President Trump’s allegations and terms the new US policy an attempt “to scapegoat Pakistan”. The committee also expresses Islamabad’s resolve to work with Washington, and calls on US military forces to target the Pakistani Taliban based in Afghanistan. August 23, 2017: Rawalpindi| Pakistani military hits back at US accusations suggesting the country harbours Afghan Taliban safe havens. “We are not looking for any material or financial assistance from the USA, but trust, understanding and acknowledgement of our contributions,” General Qamar Javed Bajwa tells US Ambassador to Pakistan David Hale in a meeting at the army’s headquarters in Rawalpindi. August 30, 2017: Islamabad| Pakistan’s parliament unanimously passes a resolution calling on the government to consider suspending supply lines to the US-led NATO mission in Afghanistan in response to recent US accusations that the country is harbouring armed groups. “The National Assembly regards President [Donald] Trump’s and General John Nicholson’s [the top US military commander in Afghanistan] statements on Pakistan as hostile and threatening,” said the resolution. August 30, 2017: Washington| The Trump administration notifies Congress that it is putting $255 million in military assistance to Pakistan into the equivalent of an escrow account that Islamabad can only access if it does more to crack down on internal terror networks launching attacks on neighbouring Afghanistan. September 20, 2017: New York| Prime Minister Abbasi meets US Vice President Mike Pence on the sidelines of the UNGA in New York. This is the highest contact between the two sides since President Trump’s new South Asia policy was announced on Aug 21. The two leaders agreed to work together to carry forward the bilateral relationship and discussed matters relating to peace and stability in Afghanistan and the region. October 12, 2017: Washington| President Trump praises the Pakistani military for its role in the rescue operation of an American-Canadian family that was kidnapped by the Taliban in Afghanistan five years ago. The Pakistani military confirms the release of Caitlan Coleman and her Canadian husband Joshua Boyle, and says the family is “being repatriated to the country of their origin.” In his statement, President Trump says: “The Pakistani government’s cooperation is a sign that it is honouring America’s wish that it do more to provide security in the region”. October 12, 2017: Islamabad| An interagency US delegation led by Lisa Curtis, Deputy Assistant to the President and National Security Council Senior Director for South Asia visits Pakistan and holds talks at the Ministry of Foreign Affairs. The delegation notes that Pakistan has much to gain from partnering with US efforts in the region, including the establishment of a stable, peaceful Afghanistan, the defeat of Daesh in South Asia, and the elimination of terrorist groups that threaten both Pakistan and the United States. The delegation also expresses their gratitude to the Government of Pakistan and the Pakistani Army in particular for their cooperation in securing the release of the Boyle-Coleman family from captivity. October 16, 2017: Kurram Agency| At least 26 people are killed in a US drone strike along the Pak-Afghan border near Kurram Agency. October 17, 2017: Washington| Secretary of State Rex Tillerson calls Prime Minister Abbasi after the safe recovery of the Boyle-Coleman family by Pakistani security forces. October 19, 2017: Washington| US Vice President Mike Pence meets with Prime Minister Abbasi. “The two leaders agreed to maintain high-level engagements to strengthen cooperation in areas of mutual interest.” Vice President Pence thanks the Pakistani prime minister for his government’s assistance in recovering the Boyle-Coleman family. The American statement also underlines the point that the militants were “being held in the tribal areas of Pakistan”. October 24, 2017: Islamabad| Secretary Tillerson visits Pakistan amid fraying bilateral relations prompted by Washington’s accusation that Islamabad is allegedly providing “safe havens” for Taliban militants. Secretary Tillerson is greeted by a mid-level Pakistani Foreign Office official and US Ambassador David Hale at the military airport in Rawalpindi, a welcome without the pomp that usually accompanies high-level visits. November 6, 2017: Rawalpindi| US CENTCOM chief General Joseph L Votel calls on Army Chief Qamar Javed Bajwa in Rawalpindi. General Votel underscores the vital role Pakistan can play in facilitating a peace process in Afghanistan and in bringing stability and security to the region, but stresses the US administration’s message that Pakistan must prevent all militants from operating within and across its borders. December 4, 2017: Islamabad| US Secretary of Defence General Mattis visits Pakistan. Even though the public messaging from the meeting is relatively muted, it is clear that attempts to clear the air and bring the two sides onto the same page have failed. Secretary Mattis said a common way needed to be found for continuous ties with Pakistan, as per a statement released after the meeting. Al Jazeera runs a story with the headline “US-Pakistan stalemate persists after Mattis visit”. December 22, 2017: Rawalpindi| Pakistan’s military and civilian leadership reaffirms the country’s commitment to maintaining “full spectrum” nuclear deterrence and reiterates the robustness of its nuclear safeguards. Pakistan’s National Command Authority (NCA), which oversees the country’s nuclear weapons programme, met for the first time in almost two years in Rawalpindi. December 22, 2017: Kabul| US Vice President Mike Pence makes a surprise visit to Kabul to shore up morale amongst the troops, and while assuring them that the US “will see this through”, once again repeats that the president has “put Pakistan on notice” over the question of safe havens for terrorist groups. December 26, 2017: Parachinar| A US drone attack along the Pakistani-Afghan border reportedly strikes and kills a Haqqani leader. December 29, 2017: Washington| A few days later the New York Times reports, with anonymous sources, US plans to block $255 million in aid to Pakistan. December 29, 2017: Rawalpindi| Speaking to journalists, ISPR Spokesperson Major-General Asif Ghafoor rejects the notion that Pakistan is not doing enough to fight armed groups, and warns the United States against the possibility of taking unilateral action against armed groups on its soil. January 2, 2018: Islamabad| Reports surface of Pakistan’s intention to seize control of all assets belonging to Hafiz Saeed and affiliated charities. January 2, 2018: Islamabad| In response to President Trump’s Tweet, Prime Minister Abbasi summons a meeting of the National Security Committee, comprising the army chief, naval and air heads, intelligence chiefs and other ministers, to discuss a future course of action vis-à-vis the United States. In it’s press release, the NSC expresses its “deep disappointment” over President Trump’s comments, and says the recent remarks by the US leadership “were completely incomprehensible as they contradicted facts manifestly, struck with great insensitivity at the trust between two nations built over generations, and negated the decades of sacrifices made by the Pakistani nation”. 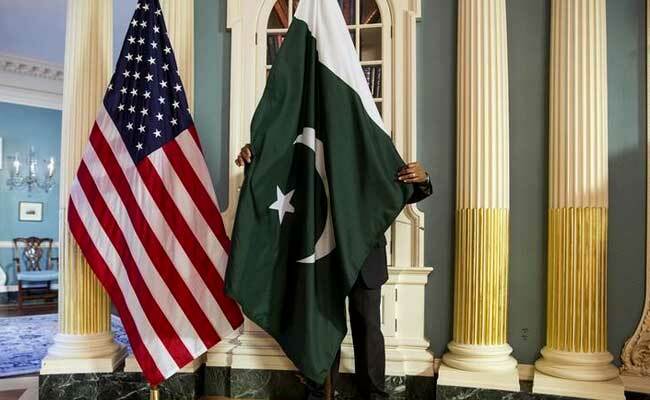 January 5, 2018: Washington| The United States announces it is suspending all security assistance to Pakistan.